To confirm your desired dates we require a £100 deposit. This will then be held as your security bond and is fully refundable after your holiday once our cleaner has confirmed that the caravan has been left as we would expect it. The balance of the entire holiday is due 8 weeks prior to the start. Should you book your holiday within 8 weeks of it starting we require full payment upon confirmation. *Please note that the security deposit is not included in the prices quoted on this website. Payment is possible via bank transfer or Paypal at a surcharge of 5%. 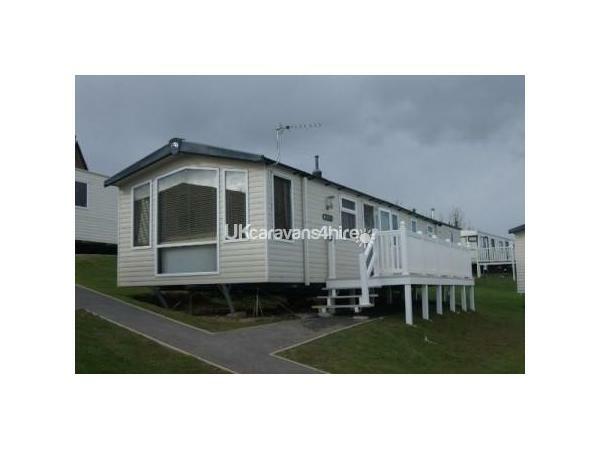 Our prestige graded caravan is a three bedroom Swift Moselle sited at the 5* Haven Devon Cliffs holiday park. It is located at 97 Hawthorn Mount, seconds away from the main complex, yet located on a quiet back street. We have first class sea views which you can now also enjoy from our gated veranda. 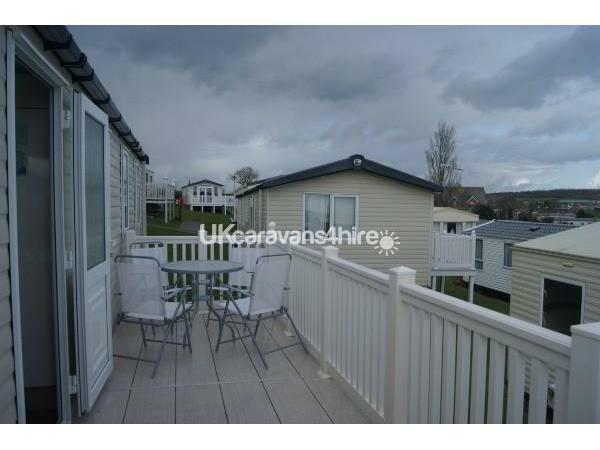 We aim to make our caravan your perfect holiday home and for the comfort of all, we do not allow pets and are strictly non-smoking. Sea facing floor to ceiling windows will allow you to marvel on the views or simply enjoy the comfort of our home from home. The living room is furnished with two free standing sofas, 26 inch TV/ DVD combo, coffee table and gas fire. A full sized dining table with 6 chairs will enable the entire family to sit down together for meals should you decide to have a night in. 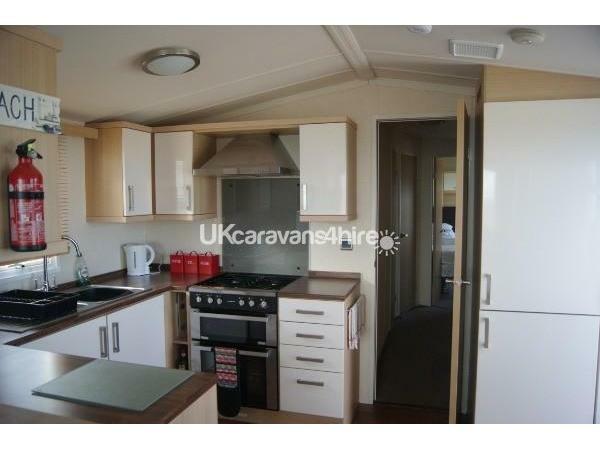 The caravan is fully double glazed and centrally heated throughout to keep you comfortable on those chillier nights. 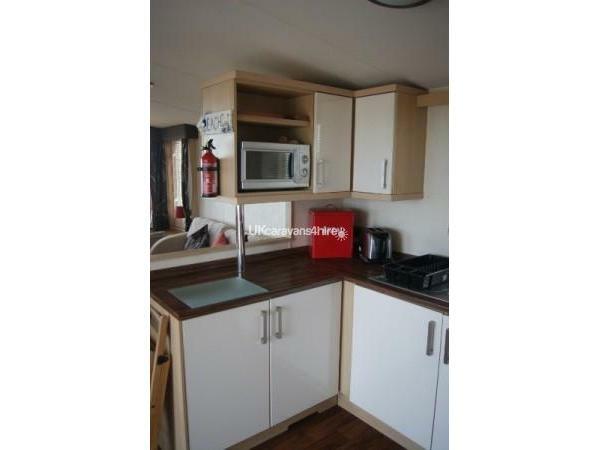 The U shaped kitchen is equipped with gas cooker/ oven, full size fridge and freezer, microwave, toaster and kettle, all glassware, cutlery and crockery you need. 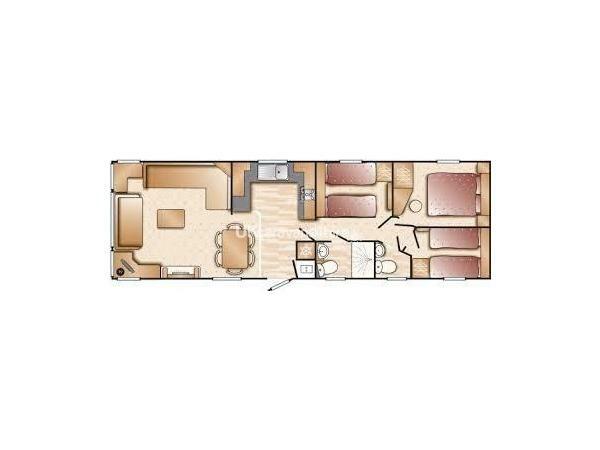 For your convenience, the caravan has a separate cloakroom with toilet and sink whilst the main bathroom has a large shower cubicle, sink and toilet. 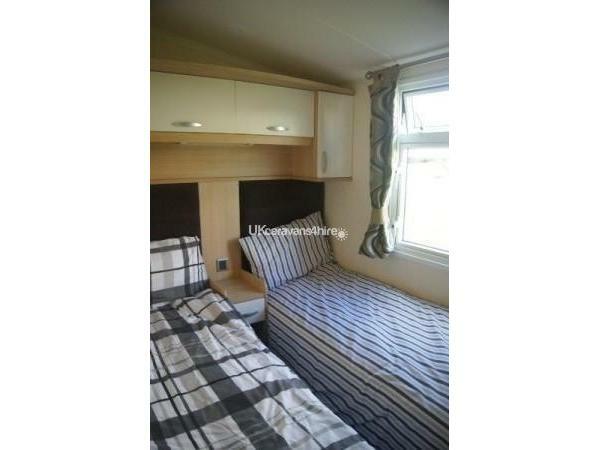 Our caravan has three bedrooms, one double and two twins which can also be turned into doubles by removing the bedside table. 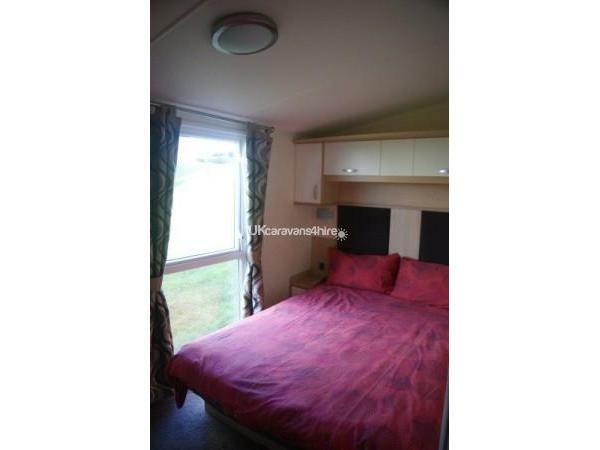 Plenty of overhead storage as well as good wardrobe space is available in all bedrooms. You will find freshly laundered linen on the beds as you arrive, so you do not have to worry about bringing the linen and more importantly washing it after the holiday. Please do not forget to bring towels, dish cloths, loo and kitchen rolls, soaps and your personal essentials. We have left many personal belongings such as books, DVDs and games in the caravan for your enjoyment whilst on holiday with us. 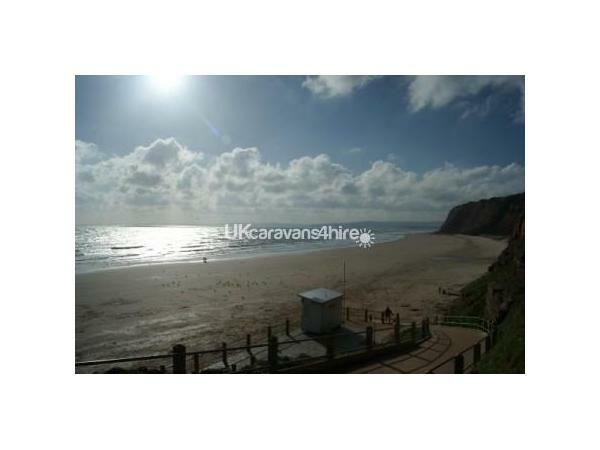 The Devon Cliffs holiday park is a fun filled place with plenty of activities for the entire family. Our prices do not include the Haven entertainment passes but they can be purchased directly from Haven. They will give you and the entire family access to the fantastic facilities which include several in-and outdoor pools with flumes and slides, crazy golf, abseiling, bungee trampolining, sports court, games arcade and several food outlets and the Barrel & Mash restaurant. Evening shows are available daily throughout the season and a kids clubs for various age groups will keep our little guests entertained. From the park you will have access to the private, sandy!!! beach complete with life guard. The fantastic South Beach cafe is available without the purchase of passes and offers unspoiled sea front views over Sandy Bay. Or simply enjoy the outdoors by exploring the Jurassic Coast on a coastal walk or pop into nearby Exeter for some shopping. Whatever you want from your holiday, you will find Devon Cliffs to be an excellent base to do just that. 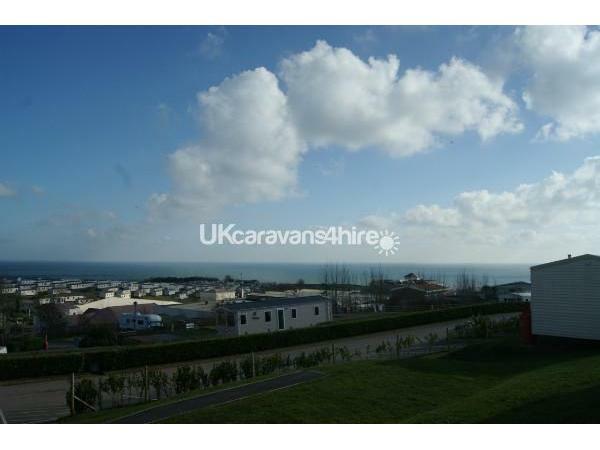 If you require any further info, please visit our website http://sandyshore.weebly.com or send an email to caravanindevon2013@gmail.com. We are happy to help and answer any query.